While not many New Yorkers know it, the High Line might still be a diamond in the rough without the Tiffany & Co. Foundation, which donated piles of time and money to bring the city's elevated park to fruition. So it's no surprise that NYC Mayor Bloomberg personally attended the ceremony to dedicate one of the park's most-loved features - the overlook - to the Foundation this morning. The newly-named Tiffany & Co. Foundation overlook is located at the southern end of the park and its glass-encased structure provides a stellar look at the High Line’s structural framework, as well as views of Greenwich Village, the Meatpacking District, and the Hudson River. Without the Tiffany & Co Foundation, there might not have been a High Line park. The foundation has been instrumental in helping Friends of the High Line raise the necessary funds not only to refurbish the original rail line but also to maintain it. In 2007, they also gave a generous gift that helped fund construction of the Chelsea Grasslands between West 18th and West 20th Streets. Michael J. Kowalski, Chairman and CEO of Tiffany & Co.; Fernanda M. Kellogg, Chair of The Tiffany & Co. Foundation; and Anisa Kamadoli Costa, President of the Foundation, along with Friends of the High Line Co-Founders Joshua David and Robert Hammond all joined the Mayor for the cutting and naming ceremony of one of the park’s most distinctive features. 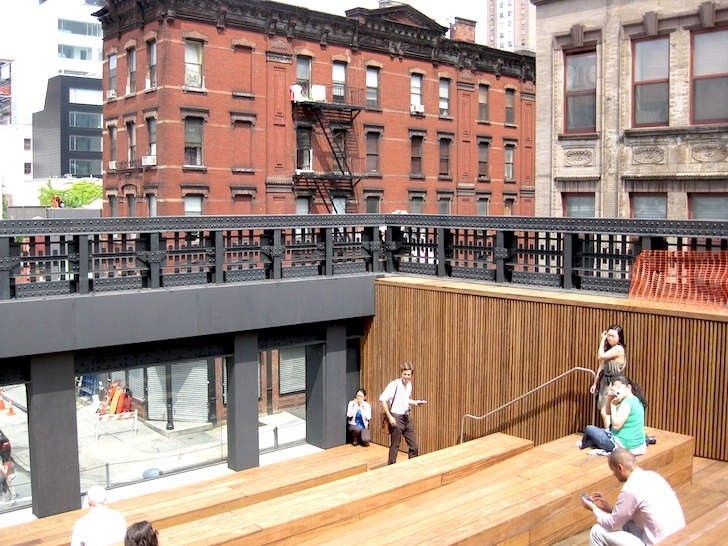 Without Tiffany & Co, there might not have been a High Line Park!